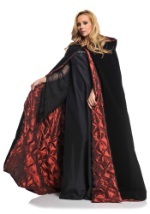 This Black High Goth Cape is a must have for any vampire costume! 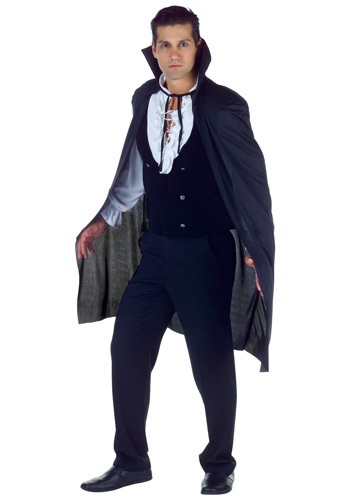 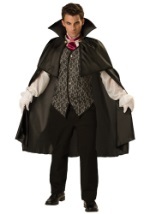 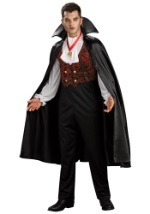 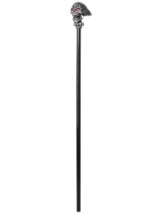 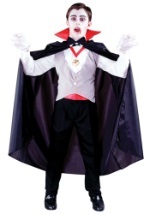 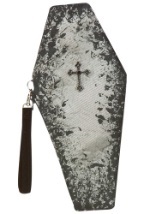 This black 100% polyester high collared cape ties around the neck and measures at 38 inches long. The interior of the cape is also black. 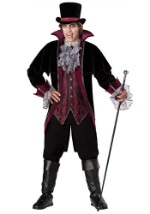 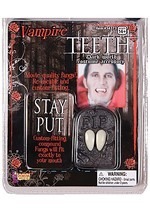 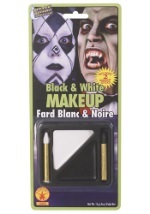 Pick up some fangs also to really make your vampire costume stand out.